A Freedom Pass entitles Londoners to free travel from the age of 62. But few exploit the potential of free travel across the entire capital, from Hillingdon to Havering, Barnet to Bromley, quite like three retired ladies. 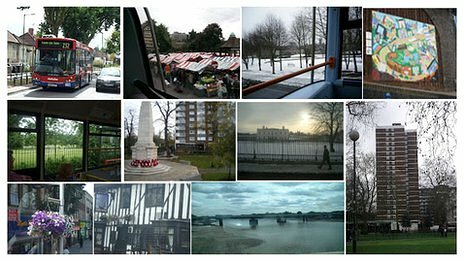 They have set themselves the challenge of travelling on every bus route in London from end to end and blogging about it in numerical order. Later, the self-styled “ladies who bus”, Jo Hunt, 68, from Camden, north London, Mary Rees, 68, from Peckham, south London, and Linda Smither, 65, from Forest Hill, south-east London, will take the 381 bus which passes the Freedom Pass office. They started their challenge in March 2009 and aim to complete every journey up to the number 549, plus the 600 routes which are not school buses. This entry was posted in Uncategorized and tagged BBC London, Freedom Pass, Josephine McDermott, Ladies who bus by Josephine. Bookmark the permalink.